State Sen. David Pearce, R-Warrensburg, who chairs the Senate Education Committee, was first in line when pre-filing of legislation opened on Monday. His Senate Bill 1 is largely the same as the bill that won approval from lawmakers last year. He says students who live in unaccredited school districts still need help, and the protests that followed the police shooting of 18-year-old Michael Brown have highlighted the inequities involved. No matter where students live, Pearce said in an interview, “you have to have a good education. You have to have a good start in life. If they don’t have that, if they’re not getting a good education, if they drop out, that affects them for the rest of their lives. When he rejected the wide-ranging, 135-page bill passed by the General Assembly last session, Nixon cited two main reasons: a provision allowing public money to be used for students who wanted to transfer to nonsectarian private schools, and what he termed a “cynical bargain” that would let districts charging reduced tuition for transfer students not to count those students’ test scores in their evaluations for several years. The bill’s margin of passage in the House was not large enough to override Nixon’s veto, so the transfer law that had been in place for more than 20 years remained. That allows students who live in unaccredited school districts to attend class in nearby accredited schools, with their home district paying tuition and in some cases transportation as well. Some changes have occurred. The state dissolved the unaccredited Normandy school district, putting in place the Normandy Schools Collaborative that the state board of education classified as accredited as an oversight district. 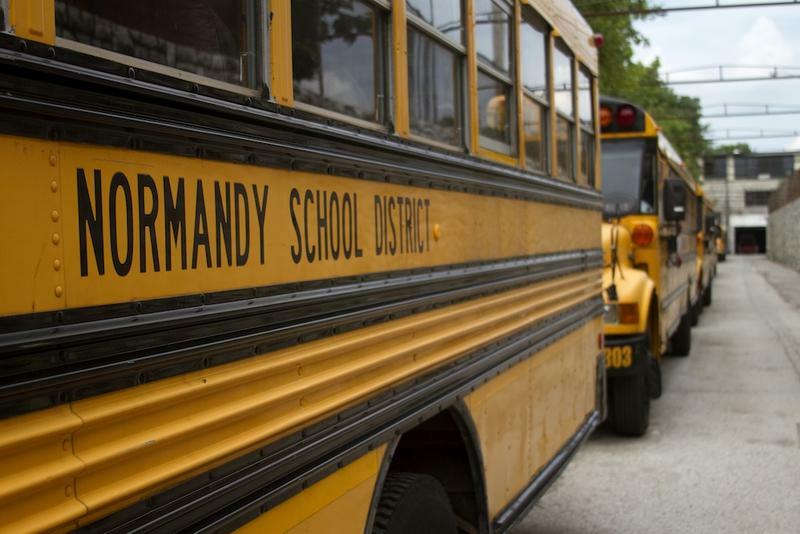 But the state board allowed Normandy students to continue to transfer under certain circumstances, and a St. Louis County Circuit Court judge has broadened that pool. So those students, plus students in Riverview Gardens – now the only unaccredited district in the state, since Kansas City has regained provisional accreditation – are still allowed to transfer. Officials in both districts have said that continuing to pay the costs of the transfers is threatening their budgets. Change the current transfer law so its provisions apply only to districts that have schools from kindergarten to 8th grade. Most such districts are in rural areas. Accredit individual school buildings, not just districts, and allow students in an unaccredited building to transfer to an accredited school within their home district, if the move does not violate state-recommended class size guidelines. Allow students who cannot transfer to a school within their home district to transfer to an accredited school in another district. Students could not transfer to unaccredited or provisionally accredited districts or schools. Transfers could also be made to a nonsectarian private school in a student’s home district if voters in the district approve such a change. If a district is unaccredited for three years, such transfers could occur without voter approval. Districts may establish policies for class size and would not be required to accept any transfer students who would violate that policy. If a district agrees to charge reduced tuition for receiving transfer students, it would not have to count those students’ test scores or other data in their performance reports for five years. Establish a “school transfer and improvement task force” within the Department of Elementary and Secondary Education to focus on failing schools. Give the state board of education more power to lapse all or part of an unaccredited district. Create assistance teams to help underachieving school district. Expand opportunities to start charter schools in unaccredited districts. Pearce said that by filing his bill first, he wanted to emphasize the importance of making sure lawmakers achieve changes in the transfer situation. But, Pearce added, he realizes that any pre-filed legislation is the starting point for a process of negotiation and debate. He also hopes that Nixon becomes involved in the give and take earlier and more actively than he did during this year’s session. 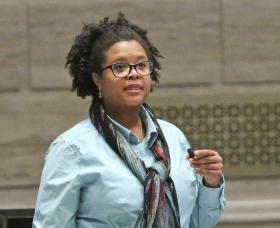 State Sen. Maria Chappelle-Nadal, D-University City, also pre-filed a bill similar to Pearce’s. She has been a frequent antagonist of Nixon, both in the school transfer debate and in the aftermath of Michael Brown’s shooting by Ferguson police officer Darren Wilson. But, she said in an interview, she’s not too concerned about what the governor is going to do this time around. “At this point,” she said, “I don’t care what the governor has to say unless he’s willing to roll up his sleeves and do the hard work that so many legislators did the last two years…. If he wants to articulate what his plan is for minority communities, with education particularly, he may do so in a timely manner. But until he gets serious about the job that he has, I could care less…. Noting the overwhelming presence of Republicans in both chambers of the General Assembly, and the fact that Nixon is halfway through his final term as governor, she added: “He is a lame duck at this point, and there's a supermajority in the House, and there's a supermajority in the Senate. When that happens, you know, the mathematics change essentially. Chappelle-Nadal said that while the focus has been on Ferguson and on Normandy, where Brown graduated from high school earlier this year, it shouldn’t be on them alone. State Sen. Scott Sifton, D-Affton, has pre-filed a more limited transfer bill that does not include the option to transfer to a private school. “It is very important for us to get transfer reform done this year,” he said in an interview, “and the governor has made it very clear he is not going to sign any bill that includes public dollars going to private schools…. So I'm taking a different approach. 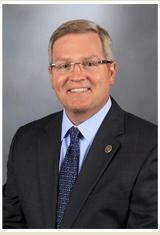 “Quality public education has been an important issue throughout region and throughout our state for some time. The notion that there are some school districts in our state that are not performing at a level to warrant accreditation is not new. With other legislation likely to be introduced before the session starts, and lively debate certain to follow – along with developments such as a new education commissioner and continued litigation over the rights of students to transfer – activity on the transfer front is certain to continue in the coming months. As promised, Missouri Gov. 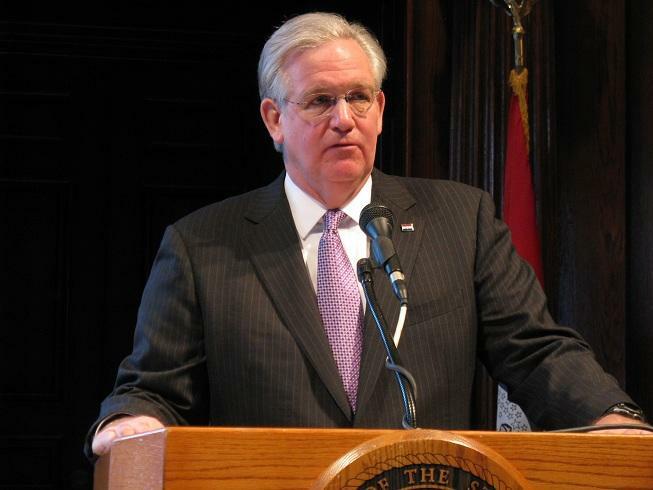 Jay Nixon vetoed on Tuesday the wide-ranging school transfer bill passed by lawmakers this year, saying it violates basic principles of public education and does nothing to help students trapped in unaccredited schools. At the offices of Education Plus in west St. Louis County, the governor listed three main reasons for his action. 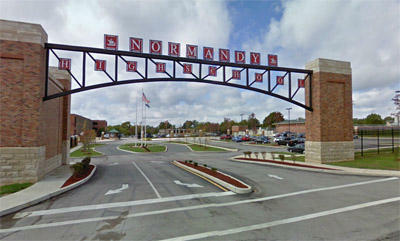 A St. Louis County Circuit judge ruled Friday that students from three families living in the Normandy school district have the right to transfer to nearby accredited districts. Those districts – Pattonville, Ritenour and Ferguson-Florissant – had denied the students access in the new school year, even though they had transferred to schools in those districts in the last school year. But the families argued successfully that the state had improperly given the new Normandy Schools Collaborative a status that freed it from the requirements of the Missouri transfer law. As a St. Louis County circuit judge weighs whether four families who live in Normandy have the right to send their children to nearby accredited districts in the upcoming school year, Missouri education officials are trying to clarify action they took recently that is central to the case.